A woman in her late forties finds herself suddenly single after thirty-two years with the same man. Does she head off to a resort on the Indian Ocean? Does she become a stand-up comedian? Does she conquer the online dating world by scheduling three or four dates a day for several years? Renata Lubinsky managed to do all three, and by the time she had dated eighty men, she had learned many things in her quest to remain a vital and exciting woman as she headed into the next stage of her life. The author paints a broad canvas of her life in brilliant colors and takes the reader from her home in Israel as a young woman and her first love to her eventual singles’ life in her new home in Seattle. Funny and charming, the book is an honest portrayal of what it’s like to manage the new world of online dating after not dating for more than three decades. Many of the men she met were named Mike, so she dubs each of them in the book with the name and a number or nickname. From Mike #1 to Mike #80, there is laughter, tears, and love in her quest to stay active and involved in the world around her. You will never forget the memorable “Mikes” found within the pages of Around Seattle in 80 Dates. From Mike Motek to Four-inch Mike, each one strikes a universal note and makes this book the perfect choice to learn about online dating from someone who is now a real “retired” pro. Renata provides insight and lessons as well as entertainment with stories that are silly and heartbreaking, tender and harsh, ridiculous and poignant. 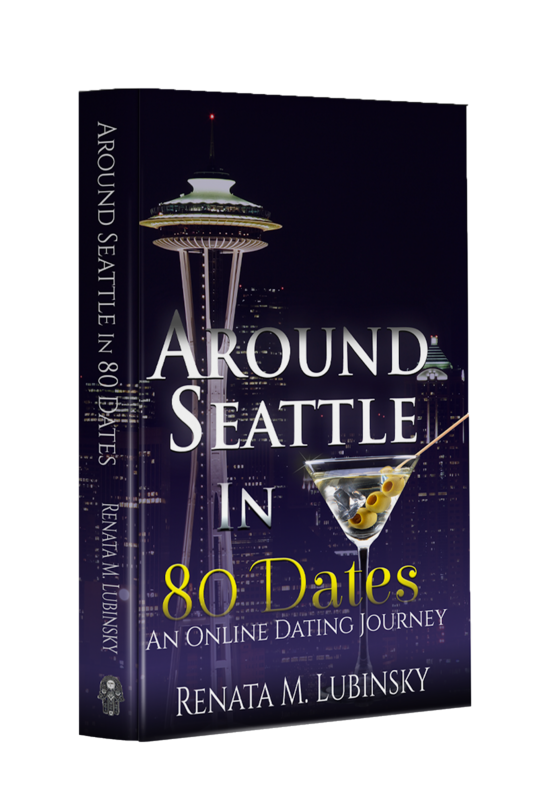 She ends the book with the chapter, “To Do or Not to Do – Instructions for Online Dating Sites,” which gives the reader a guide for staying safe and happy while meeting and dating people found online. Even if you’re not into online dating, this book is worth the read as it provides many insights into relationships between men and women.